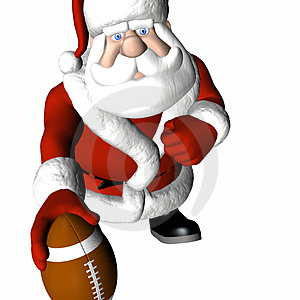 Consider this my Christmas wish list for the world of sports. Here’s a few things I’d like to see happen. They’re not necessarily the most pressing issues, but they just seem to make sense in my head. College Football Playoff System – Let’s start with the obvious. This topic has been beaten to death, and is destined to sit at its current impasse. 95% of the population wants a playoff, while the BCS and a few others do not. It’s been said that the point of the BCS is only to ensure the top two teams are playing for the National Championship. However, this year, we’ve got an unprecedented THREE undefeated teams NOT playing for the Title. If Cincinnati beats Florida, they’ll have a pretty convincing argument. At the same time, the winner of the Fiesta Bowl, either TCU or Boise State, will also have the right to consider themselves co-champions. Likelihood of this happening: Slim to none. Realignment of MLB Divisions – It’s been 12 years since the Milwaukee Brewers jumped to the National League, yet we’re still sitting here with 6 teams in the NL Central and 4 teams in the AL West. The solution is simple, click here for my proposal. Likelihood of this happening: Doubtful, at least as far as my plan specifically. Realignment as a result of expansion or contraction might be a more likely scenario. Eliminate NBA Referees’ Biases – Even though the NBA has been in denial for years, we all know they have a problem. Over the course of the last 15 years, the game has evolved into a whistle blowing exhibition. 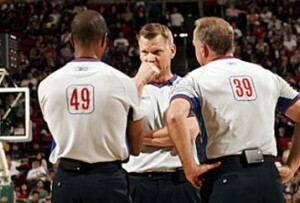 Either cut the crap or start selling referees’ jerseys at the NBA Team Store. I can’t stand watching my favorite sport get ruined more and more each year. Likelihood of this happening: Not on Stern’s watch. Chris Cohan To Sell The Warriors – I’m not entirely convinced it’s this guy’s fault. I’m pretty sure it’s a collective effort driving the franchise into the ground. If I had to choose someone to blame, it’d be team President, Bobby Rowell. However, since he appears married to Cohan, it’s going to take a change in ownership to revive this thing. The W’s fan base is the best in basketball; they need an owner who shares the same sentiment. Likelihood of this happening: It’s probably more a matter of a buyer willing to spend the money than Cohan’s willingness to sell. 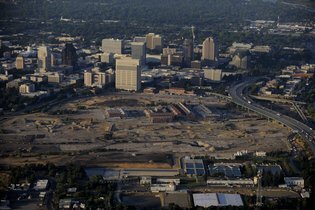 Sacramento to Build and Arena HERE – I know there’s a lot more to it – for example, money – but sometimes logic only slaps you in the face so often. The downtown railyards are just sitting there, practically begging for an arena. Meanwhile, the more favored location is not. If money is such an issue, why not scale back arena plans a little? Basketball in Sacramento has never been about the amenities, just build an arena that keeps up with the Joneses, put a quality team on the floor, and watch your money grow. Likelihood of this happening: Wake me when it’s over. On the heels of last night’s post game incident, a lot of people have been visiting Doin Work’s game preview, presumably looking for the video of the fight. So, I figured we should post it on the site. Here you go….